I have a (extremely) small splattering of travel left this year, having used up all my holiday on long trips to India and South America (not that I’m complaining but a bit more holiday would be greatly appreciated). So, as every person who dreams of being on holiday does, just to make my misery even worse, I decided to browse through all the sunny exotic locations I’ve been to and imagine myself back there. Although I’ve only been to a very few of the world’s most beautiful beaches, I thought I’d share some of my favourites with you. This heavenly island just off Africa’s mainland is completely different to the rest of Tanzania. Its sparkling turquoise waters, friendly locals and chilled vibe make it the perfect beach escape after a safari. It’s such a blissful location I can even forgive the choppy boat ride that made everyone (and I really do mean everyone) sea sick. A hot spot for backpackers to end their round the world trips in, Fiji really is a huge slice of paradise. We got our heads in a spin trying to choose which island we wanted to spend our time on as there are so many, including party islands, boats that stop off at several places like a mini Fijian cruise, or a quiet island just to unwind on. We opted for the latter and our quiet relaxing stay couldn’t have been any better. We got to know the locals, visited a tiny school and church, tried the local delicacies and explored secluded parts of the beautiful island. 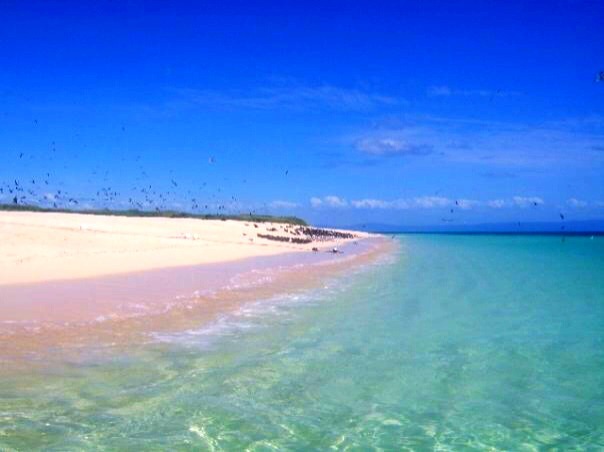 Hundreds of birds greet you at this tiny little sand cay in the middle of the sea, along with some of the best snorkelling and ocean wildlife in the clear calm waters, where you might be lucky enough to spot a sea turtle or a black tip reef shark. If it wasn’t for the couple of boats that have permits to visit the cay, you could easily imagine yourself stranded here in the Great Barrier Reef away from everyone and everything. 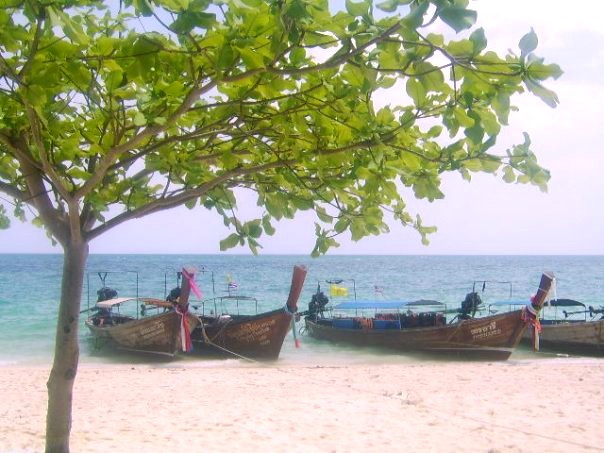 My favourite beach in Thailand, Bamboo Island is a long-tail boat ride from Koh Phi Phi, where there are far less crowds. You’ll have more beach space to yourself to soak up the peaceful atmosphere and listen to the gentle lap of the waves against the shore. 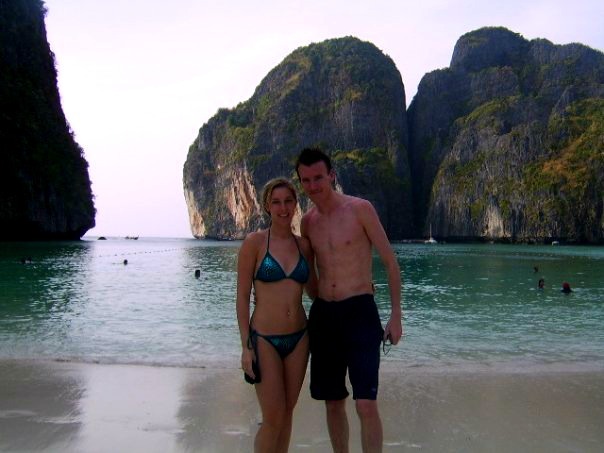 We wandered along the white sand, had a picnic outside a small beach hut and bathed in the shallow turquoise waters. Despite being full of crazy football fans during the World Cup, Copacabana Beach was still just as gorgeous as I imagined it to be and the Brazilians who frequented it were just as gorgeous to match! A coconut or caipirinha in hand made the setting perfect, whether we wanted to chill on the beach and take a dip in the sea or watch a football match while catching the last few rays of sun. Most people overlook this island when travelling the East Coast but I’m so glad we didn’t as it was a highlight of our trip across Australia. We stayed in decked tents a short walk from the beach and, because there were so few people on the island, we often had one of its secluded beaches to ourselves. We explored the bushland and went snorkelling in the bright blue sea full of coral during the day, and watched the beautiful sunsets sitting on the beach at night. On the quiet side of the Rock, Catalan Bay is the least busy beach in Gibraltar and I remember having the whole strip of sand pretty much to myself and my family whenever we visited when I was little. The bay is surrounded by little restaurants and locals’ homes and you can even spot Africa in the distance on a clear day. I may be slightly biased on this one as having photos on this beach on my wedding day is obviously going to make it close to my heart! 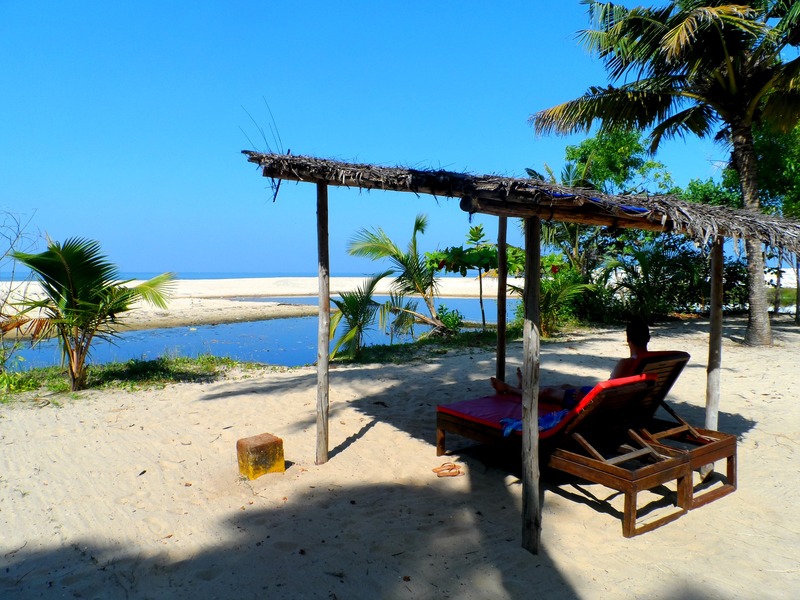 The tiny little beach village of Mararikulam in Kerala is as quiet a costal location as you can get. During our entire stay there were no other people in sight apart from the fisherman and the odd guest who was staying in one of the few bungalows along the beach. We had our own private beach area courtesy of our accommodation. Not only did we love this place because it was completely idyllic, but also because it was so unlike anywhere else we had been in India. The setting for the film The Beach, Maya Bay really does look exactly as it does in the movie (minus Leo of course) which unfortunately means that it is overridden with tourists. This doesn’t stop the bay being extremely pretty with the high cliffs climbing out of the sea to make a small lagoon where you can go snorkelling in the deep green water or just relax and enjoy the view from the sand. 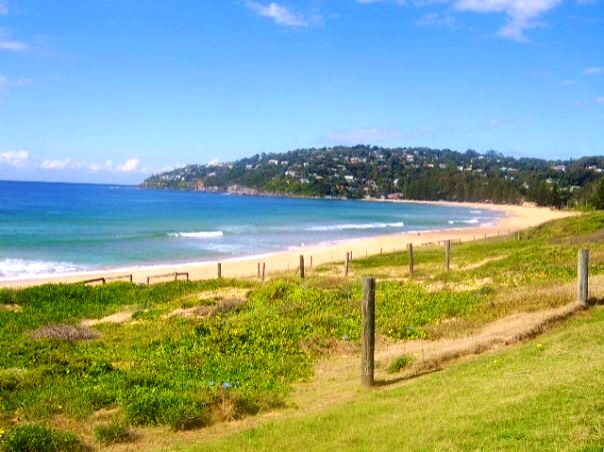 Not only did I get to meet some of the cast of Home and Away and catch them filming in “Summer Bay” , but Palm Beach is also one of the prettiest beaches we came across in Australia. Big beautiful houses dot the surrounding hillside and, being away from the hustle and bustle of Sydney and well off the tourist track makes it the perfect place to spend a day. This has to be my favourite beach from all my travels, not necessarily because it was the most beautiful or the most idyllic, but because it was the most exotic and felt like a proper island getaway. A tiny little uninhabited island sits opposite the mainland, close enough for you swim to if you’re a good swimmer and can get through the strong current. 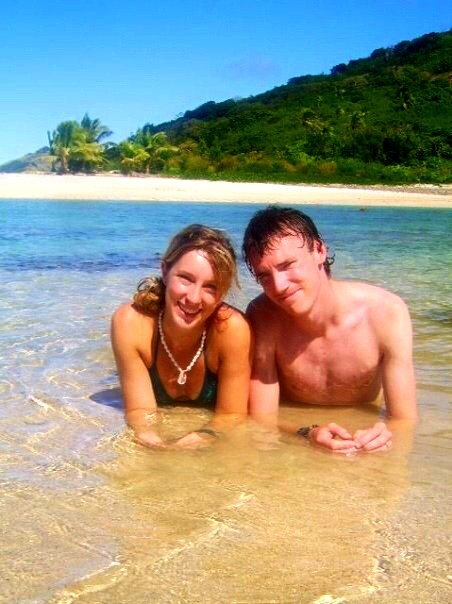 Being across the sea, on an island with no one else around and no way of getting back apart from to swim, it really did feel like we were castaways. Wow, this has really made me want to go on holiday! Shame that I’ve used all of my holiday allowance for this year 😦 Love the pic of you on your wedding day! Australia has so many good beaches though it was difficult to narrow it down! Catalan Bay is on the other side of the Rock away from the main part of town. It probably isn’t as quiet as it used to be but I’m sure it’s less crowded than Easten Beach. There’s a ‘beach’ in Camden Town for summer apparently – not sure it would have the authentic beach feel though! Thanks for the top tip! I’m in Hackney at the moment so may have to check that out! hahaha I couldnt not laugh about the way you began the post…misery…same here!! Girl you have been to amazing beaches indeed… from all of them I’ve only been to Copacabana, which by the way makes me happy that a Brazilian beach is on the list 😀 whats with Zanzibar? I so want to go there!!! Amazing post! I totally understand you!! When are you having vacations again? I don’t have any other trips planned at the moment – not to any places like this anyway! I would love to go to Santorini though so that is next on my list. 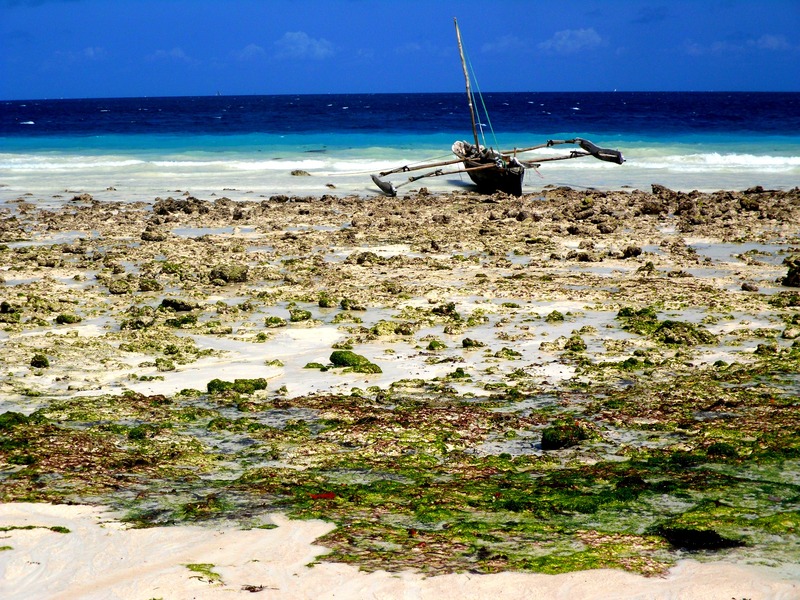 Yes – start saving for Zanzibar! You won’t regret it! So exciting! I really hope you get there and, whenver it is, I can’t wait to read all about it! Which ones have you been to? Fiji and the Cook Islands aren’t too far from you guys. I’m so jealous that we have Spain and you have places like that for a litle holiday! Copacabana and Palm Beach – LOL! 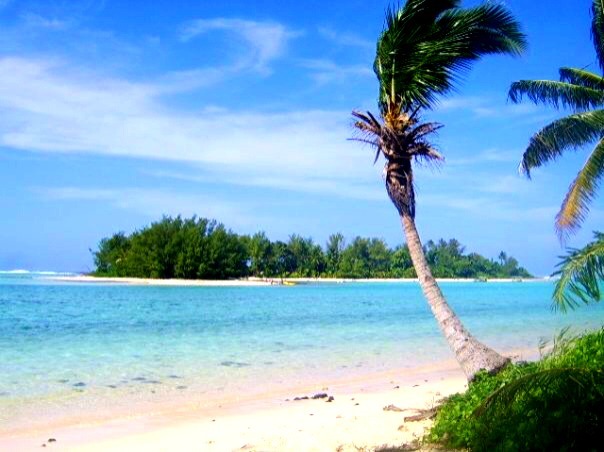 We have never been to Fiji or the Cook Islands!! I love this list, Ayla. I think it might be my fave post of yours so far. You’ve been to some beautiful spots both on and off the tourist track. I think you might even be qualified enough to call yourself a beach expert! 😉 I’m hiding my credit card when I read your next post! These all look gorgeous! I’d never even heard of Great Keppel Island, but I definitely need to go now! Fiji is probably has the most amazing beaches I’ve ever seen too.